Our internet connection has been down since Monday. It did good for my sleep plus I had time for movies, books and most recently, a walking tour. If Deira City is Quezon City, Bur Dubai is Manila. 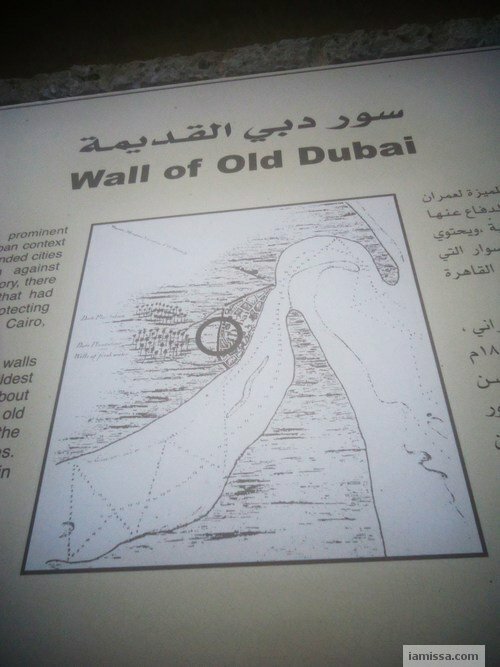 The aimless walk became a historical discovery when I found a reconstructed wall of old Dubai (reminds me of Intramuros) just nearby our apartment building. City walls are one of the prominent architechtural features of the urban context of old cities. These walls surrounded cities to defend and secure them against external attacks. Throughout History, there were many examples of walls that had played an important role in protecting cities, such as the walls of Cairo, Damascus and Baghdad. 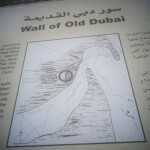 In the past, Dubai city had two such walls that defined the city context. 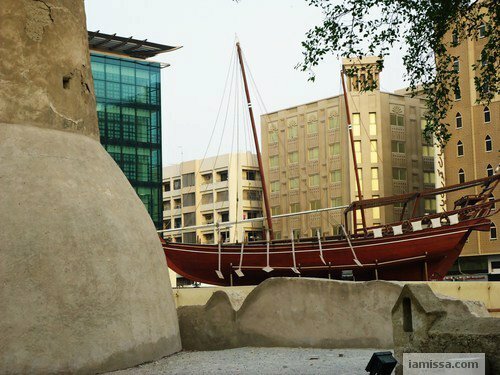 The Oldest one was constructed in Bur Dubai about the year 1800 A.D. 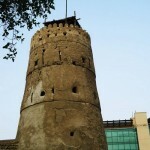 It surrounded the old city, which included Al-Faheidi Fort, the Grand Mosque and residential houses. 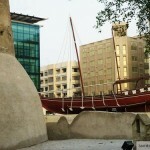 The second one was built in Deira side in the fifties of the nineteenth century. 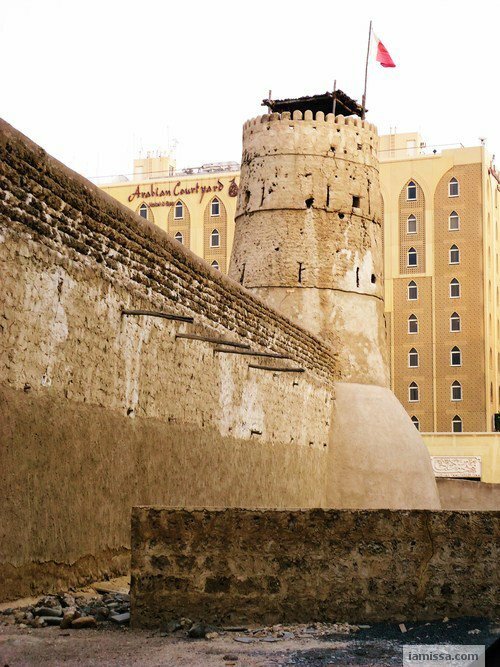 The Bur Dubai wall wall was built using Coral stones and Gypsum. It was 50 cm thick, approx. 600 meter long and 2.5 meter high. In the beginning of the twentieth century the wall was demolished to accommodate the expansion of the city. 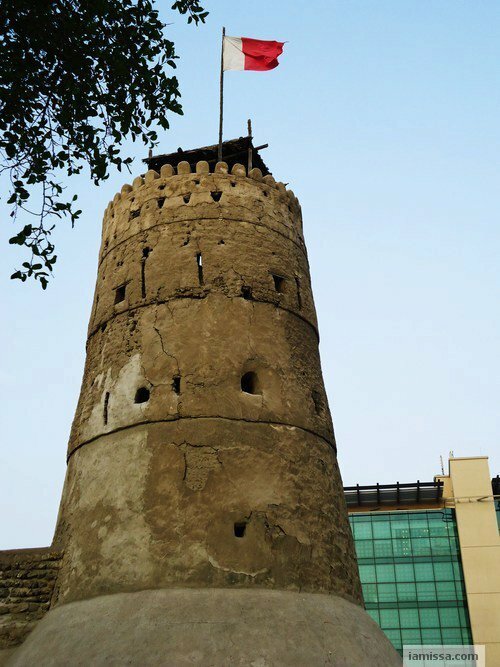 The only remaining evidence of this wall is a part of the foundations, which was explored and restored in 2001 by the Historical Buildings Section in Dubai Municipality.